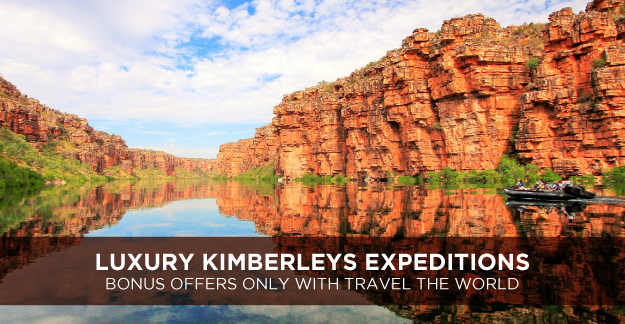 Travel the World brings you two exclusive exploration packages to the Kimberleys. Cruise 10 nights Darwin roundtrip with Ponant Yacht & Expedition Cruises or choose Darwin to Broome for 10 nights with Silversea. Whichever exploration package you choose, you are sure to experience a once-in-a-lifetime discovery in complete luxury not many travellers have the fortune to experience as these two cruise lines are among the very few permitted to land in this travellers ‘hotspot’. Call 1300 857 437 or your Travel Agent to book. This is an interesting proposal, I would like to know more about it. I was recently on a cruise on a ship https://poseidonexpeditions.com/ships/ that inspired confidence and reliability of my cruise. I advise you to visit the North Pole, this is the place to visit for everyone. When you see the cold edge of the planet, you can see all the original beauty of this place, at this time I got a strong surge of emotion that inspired me to move on to something new in my life.